Sales and Leasing Agent Colleen Mason joined P.J. Morgan Real Estate in 2014. 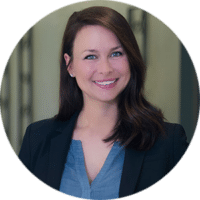 She has a drive for urban infill and commercial and residential redevelopment projects, and assists clients in investment, commercial and residential sales, and commercial leasing. Colleen’s experience includes analyzing and structuring redevelopments, including conception, design and construction. Overseeing all aspects of redevelopment, Colleen works with her clients on site assemblage and property acquisition, due diligence and project management. She is skilled in community relations and has a passion for revitalizing older neighborhoods. Colleen prides herself on the strong connections she builds with her clients and within the community. She loves the history and atmosphere of midtown and downtown Omaha, and is currently working on redevelopment projects on 13th Street in the Little Bohemia neighborhood of Omaha. She lives in Omaha and is a graduate of the University of Nebraska at Omaha.